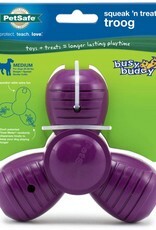 Busy Buddy Squeak ‘n Treat toys are the first treat-dispensing toys that also squeak! 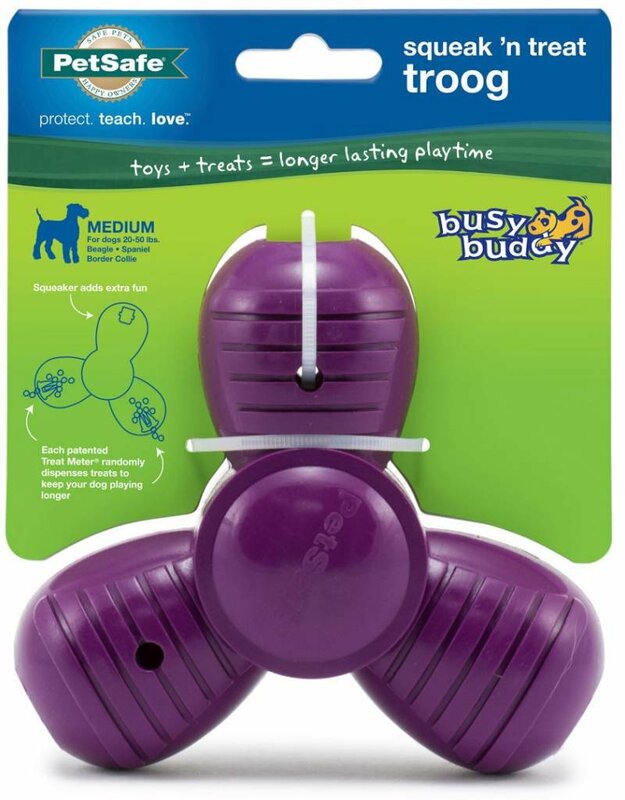 Fill the toy with your dog's favorite treats. The treats pop out as your dog plays. 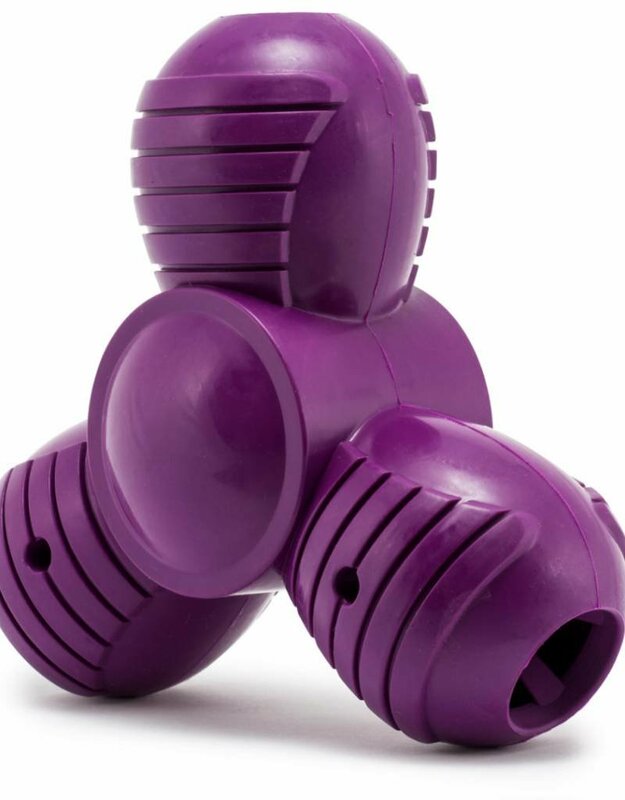 The built-in reward keeps your dog actively engaged in healthy play instead of destructive chewing. The squeak adds to the excitement! 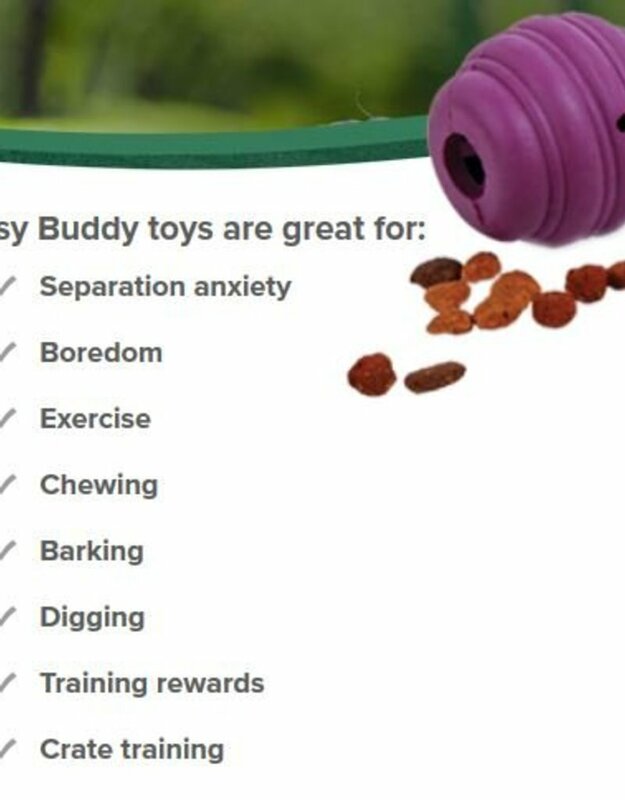 The squeaky sound appeals to your dog's natural prey drive. Unlike plush squeak toys, this squeaker is nearly impossible for dogs to “kill.” The durable rubber design has a funky bounce for games of fetch or tug-of-war. 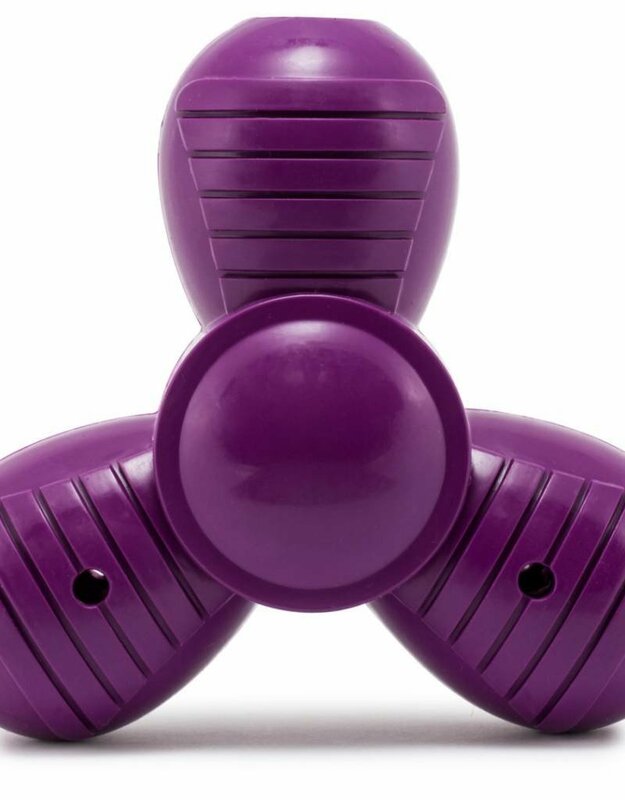 Trim the patented Treat Meter® prongs so more treats fall out. Sizing recommendations are not a substitute for common sense and your personal judgement. 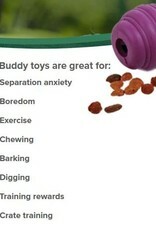 Please use your knowledge of your own pet's chewing habits when choosing a toy for her. When in doubt, choose the larger size.